With a life that has spanned nearly a century, Cecelia Kwiecien has touched the lives of countless others. She was a people person who genuinely wanted to know about others, in fact, she would even say that she was nosey! Ceil’s faith was the reason for the joy in her heart through good times and bad. She was all about family, and there is nothing she treasured more than being a wife and mother. Ceil was hardworking and determined to succeed in everything. Beautiful on the inside and out, she was truly a blessing to everyone.  Life in America during the early 1900s was vastly different from the life we know today. Although we had hopes of remaining neutral during WWI, those hopes were dashed in 1917 after hostilities in the Pacific left us with no choice but to engage in the fight for the freedoms that we still enjoy today. This was a year to remember in the lives of Stephen and Hedwig (Suminski) Graczyk as they were anticipating the birth of a new baby. The big day arrived on September 1st when the baby girl they named Cecelia Josephine drew her first breath. She was the older of two girls and was raised alongside her sister, Florence, with whom she was always very close. To support the family, Ceil’s father worked at Trostel Tannery while her mother was a wife, mother, and homemaker. 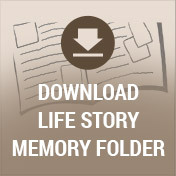 New and exciting changes were in store for Ceil when she met the man of her dreams. His name was Edward Kwiecien, and they met while she was visiting her friend, Betty. When Pearl Harbor was attacked in 1941, America entered WWII on December 8, 1941. Ed entered the Army Air Force. He and Ceil corresponded through letters while he was serving. 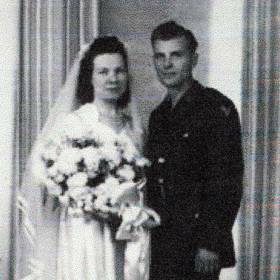 In one of his letters home, Ed wrote, “I’m coming home Monday to get married.” Ceil and Ed were married at 5:00 p.m. on Monday, November 15, 1943, at SS Peter & Paul Church. They celebrated their marriage at a hall on Humboldt and North, dancing the night away to the music of Max and the Merry Makers. The newlyweds lived in the upper flat of the Graczyk family home. Ceil and Ed welcomed four children including Karen, Christine, Kathleen “Kiki,” and Edward “Jim” into their hearts and home. 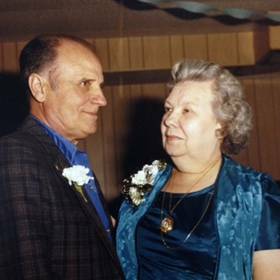 Ceil and Ed were truly committed to one another and were challenged more than most after she became paralyzed in 1951. She was diagnosed with Guillain-Barre syndrome and spent 13 weeks in the hospital. During this time, Ed worked all day and then came home to care for three children. What could have been a time of great strain was a time that only gave their love more depth. Raising their family on Bartlett Avenue was an amazing experience as they were neighbors with extended family members since her sister and her husband, Andy Jaszewski, lived next door. Between the four Kwiecien kids and the seven Jaszewski kids, along with the rest of the neighborhood, it was always busy on Bartlett Avenue. Holidays, summer barbecues, and Christmas Eve were always times filled with fun, family, and the formation of priceless memories. The family cottage on Lake Helen was also the backdrop of some of their favorite times spent as a family. Ceil and Ed purchased the place in 1975, and over the years Ceil has loved taking in the beautiful scenery and the peace and quiet, as it was where they spent their summers. In addition to caring for her family, Ceil worked outside of the home. She started working as a bookkeeper for a family who owned property in the city. 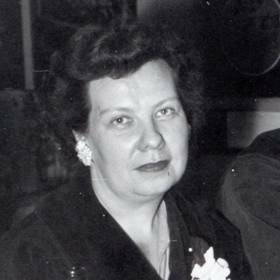 She later worked as a bookkeeper for Lurie & Harry Glass Company, later H.A Harry Glass Company and T.C. Esser Company. Finally, she worked as a secretary for Babisch Conveyor Company until retiring in 1983. It was just a few years later that Ceil was deeply saddened with the sudden death of her beloved husband on October 7, 1989. Always one to keep busy, Ceil is a woman of many interests. She learned flower arranging and cake decorating with friends. She enjoyed reading magazines and watching Lawrence Welk. Old time music, especially polkas, were her favorites, but she was also an Elvis fan. Ceil could often be found sewing, partially because she had a houseful of girls, and she also crocheted numerous afghans, often one right after the other. After she retired she learned how to paint. She also received her first computer as a retirement gift and spent many hours “experimenting” on the computer. As Cecelia Kwiecien remained in her home during her sunset days, she continued to inspire others. She was always pleasant, sincere, and genuine with an unending spirit of generosity. Ceil was always happy and positive, and when faced with trials she would say “God knows what He is doing.” A remarkable woman in every way, she will be missed and forever loved. 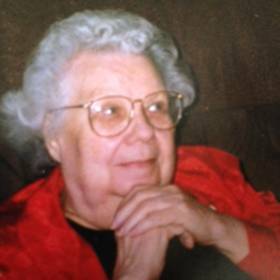 In addition to her children Christine, Kathleen "Kiki", and Edward "Jim", Ceil is survived by 10 grandchildren, 15 great-grandchildren and one great-great-grandchild. 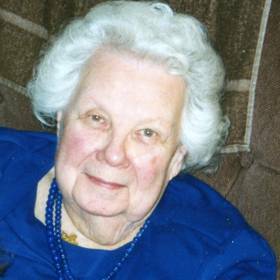 (nee Graczyk) December 12, 2016 Age 99 years. Preceded in death by her husband Edwawrd, daughter Karen and sister Florence. Beloved mother of Christine (Sal) Salva, Kathleen Hallett, and Edward James Kwiecien. Further survived by 10 grandchildren, 15 great-grandchildren, 1 great-great grandchild, other relatives and friends. Visitation Friday December 16, 2016 at SS Peter & Paul Church 2490 N. Cramer St. Milwaukee, WI 53211 from 4:00 PM until the time of Memorial Mass at 6:00 PM. Private inurment Wood National Cemetery. In lieu of flowers, Prayers and Masses are appreciated.